Any restoration effort of this scale, size and import is, by nature, challenging. Not only is the Rotunda a hallmark of American architecture, it is, along with Monticello, a UNESCO World Heritage site. Workers, architects and engineers planned fastidiously for every phase of the project; they didn’t encounter any major snafus. 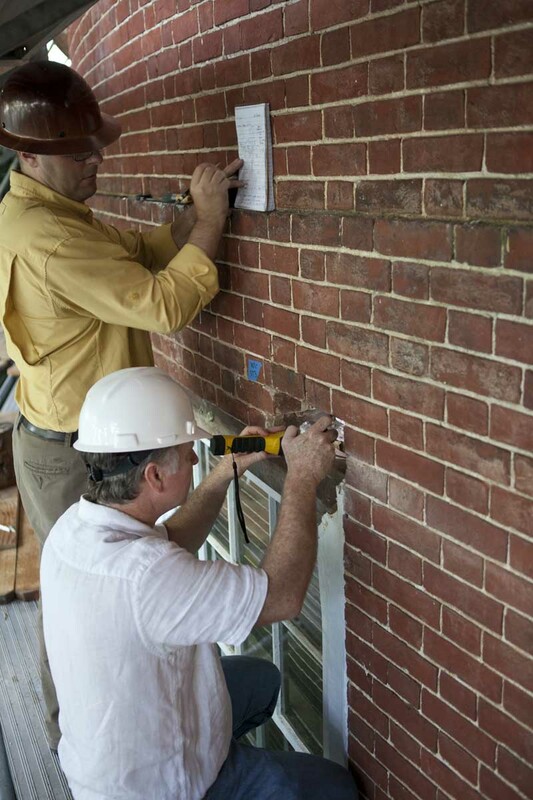 Repairing the Rotunda’s foundation and underpinning was a huge undertaking that occupied the first six months of the second phase of the restoration. The Rotunda was built directly on the ground, with no foundation, so the excavation had to be done in the old-fashioned way: with shovels and muscle. 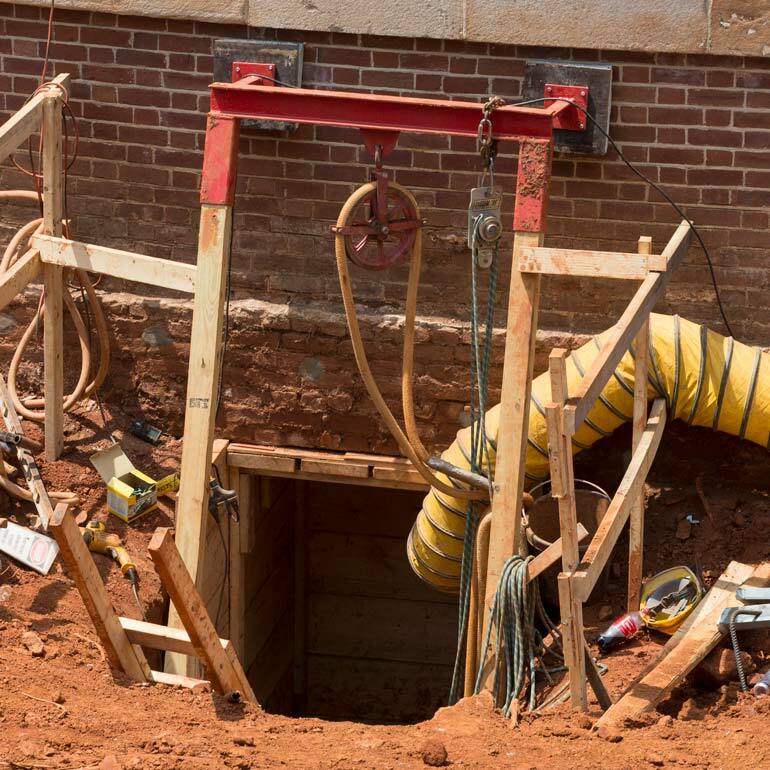 Workers dug small pits—about 3 feet by 4 feet—under the building. Once a pit was dug, it was filled with concrete; workers then moved about 10 feet down the line and dug and filled another pit, and so on. They dug close to 100 pits to help support the building. The entire time, four laser beam units positioned around the Rotunda and aimed at 130 targets on the walls, measured the building’s position every four minutes. Seven vibration sensors augmented the laser system and monitored construction-related shaking of the building. If the Rotunda moved even a minuscule amount, contractors were notified, work stopped immediately and crews huddled to find out what happened and, if necessary, what they had to do to restabilize the building. The renovation also outfitted the Rotunda interior with the technology required of a 21st-century academic building. Workers added more power outlets, improved WiFi coverage and added data and cell phone boosters throughout the building. There’s better sprinkler and smoke detector coverage. There is also hearing-assisted technology in all of the meeting rooms and various big-screen TVs with conference call capacity that can be moved throughout the building. But you’re not likely to see any of it—most of the new technology is stored in the ceiling to maintain the 19th-century appearance of the building.